I’d like to thank you for helping me choose a wonderful gift for my wife and place an order on your website. 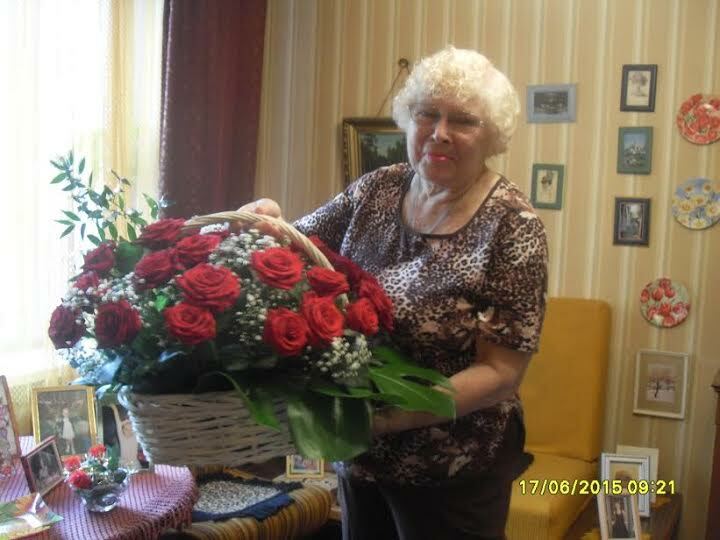 Thanks to your assistance she had an unforgettable birthday even far away from home. My wife is on a business trip to India and I had no idea how to wish her a Happy Birthday but your company helped me with everything and made it so much easier than I expected. I can’t thank you enough for all the help. I will use your service again in the near future. We all love chocolate not only because of its great taste and melt-in-your-mouth texture but also because of the effect it has on us. Scientists have proved that chocolate contains two important chemicals, Serotonin and Phenylethylamine, that are also found in the human brain where they function as hormones responsible for uplifting moods and emotions. When we eat chocolate, the normal levels of both hormones increase and we feel excitement, pleasant rush of energy and sense of overall well-being. Make sure your dear recipients have a wonderful joyful holiday, send this delicious chocolate gift set to Kazakhstan to everyone on your list with a sweet tooth! Your cherished friend, relative, dear one or business colleague will receive three boxes of mouthwatering gourmet chocolate and a complimentary red long-stemmed rose as a token of your love and appreciation. When a special occasion is approaching fast and you still haven’t decided about the gift, send your recipient a classic and beautiful gift basket of red roses. 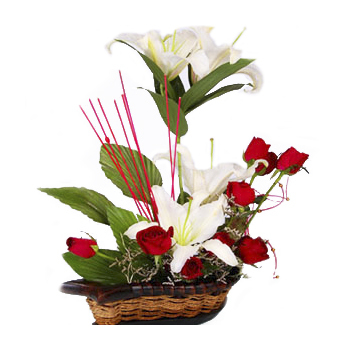 Fresh and vibrant blooms surrounded by the cloud of greenery are nestled in a keepsake wicker hamper for an amazing presentation suitable for any occasion. 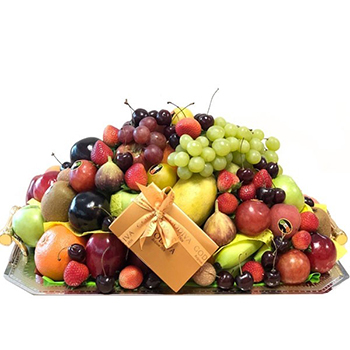 Either your dear ones are celebrating birthday, anniversary, housewarming, or you need to say Congratulations to business colleagues at work, this stylish and luxurious gift to Lithuania will make any celebration special and memorable! 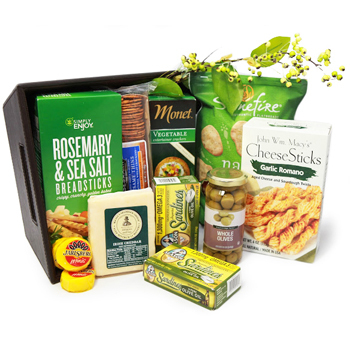 “I ordered gift basket through this online company the first time. The people helping me were very professional and nice. I would like to say special thank you to Anastasia who answered all my questions fast and made sure everything went well. The gift basket was big and beautiful. My relatives liked it very much. Next time I will use them again and recommend to all my friends. 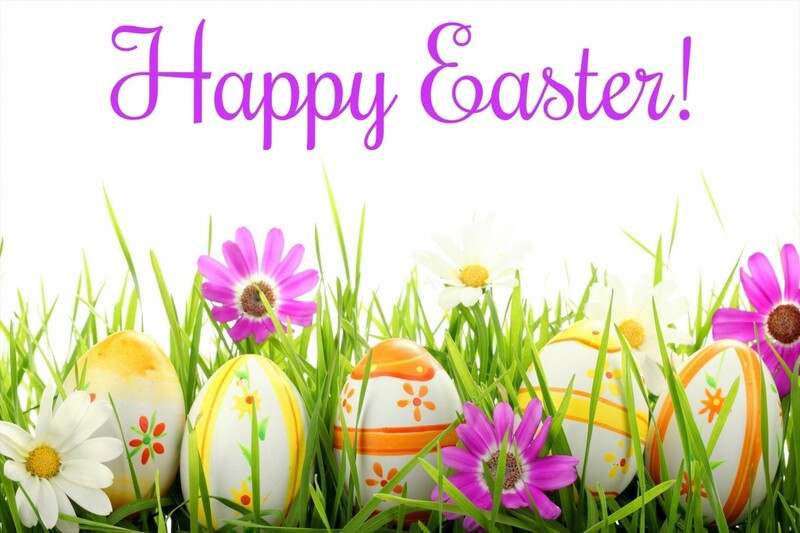 Wish a happy Orthodox Easter to your dear parents, relatives, friends or colleagues with a surprise that will leave a long lasting impression. Festively decorated wicker hampers will arrive on time for Sunday celebration with family and will include everything your recipients were craving for during the longest fast of the year. They will indulge in gourmet snacks, cheese, exotic fruit and sweet treats saved especially for dessert. They will also remember to keep their glasses full with great imported wine and beer our experts have included aplenty to make sure there’s enough for everybody at the table. Wish the ones you care about a joyful, happy, hopeful Easter and prepare them to welcome a new life with a gift basket to Greece they can’t resist! Showing appreciation for your colleague’s or employee’s efforts that benefited the corporation is an essential part of any business. Corporations often utilize gift giving when they want to recognize employees who have rendered an excellent service to the company or clients who have generated an equitable amount of sales over the past year. 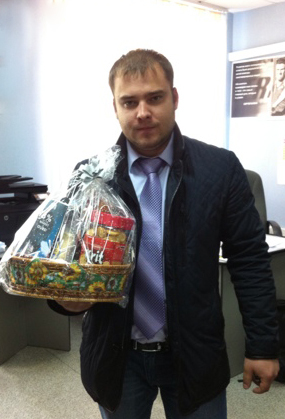 Along with employees and customers, corporate gifts are also presented to the fellow business colleagues and partners. While a holiday season is usually considered an ideal time for corporate gift giving, occasions that are of significance to the company are also among popular occasion for giving business gifts. Send your business associate, employee, co-worker or customer an amazing gift basket to Canada and demonstrate your wish to continue enjoying the benefits of your relationship! 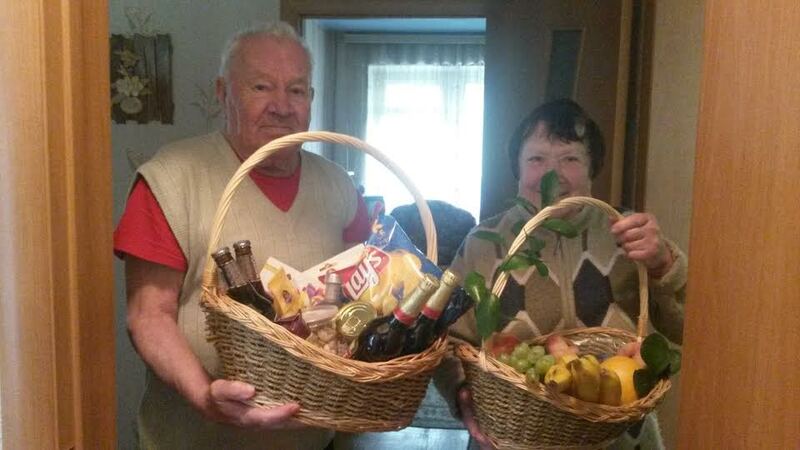 “Thank you very much for delivering such a nice gift basket for my relatives in South Africa. They were very surprised and happy to receive it. My mother-in-law had tears in her eyes when she was showing me the basket on skype. Beautiful presentation! Bird songs are in the air. And wants us all to share. love and happiness at Easter and always! Just imagine the look of excitement and happiness on the face of your beloved recipient when we deliver them a charming surprise that you’ve prepared for them! They will open the door to a lush bouquet of royal roses, cute teddy bear, and a perfect combination of gourmet chocolate and tasty red wine. 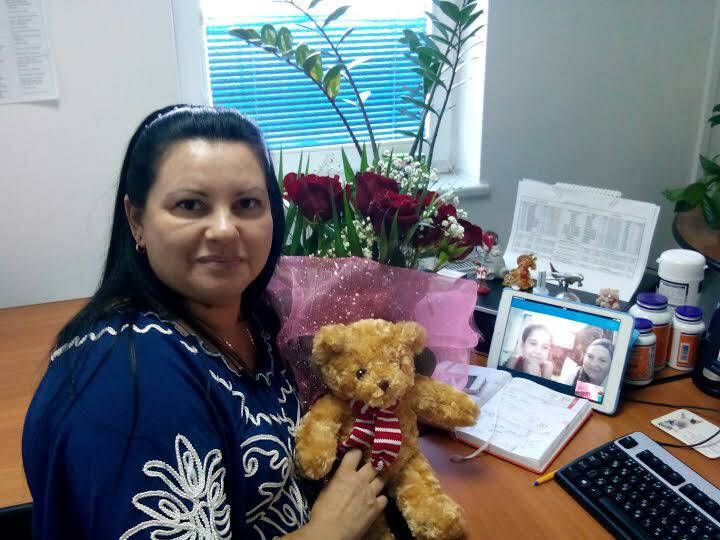 To make the impression even more unforgettable, set a phone call or skype meeting at the specific time when the gift to Kazakhstan will be delivered and get ready to receive endless praises to your generosity and thoughtfulness. Make a birthday, anniversary, upcoming Easter, Mother’s Day or any other significant occasion in the lives of your dear ones special, because they deserve it! 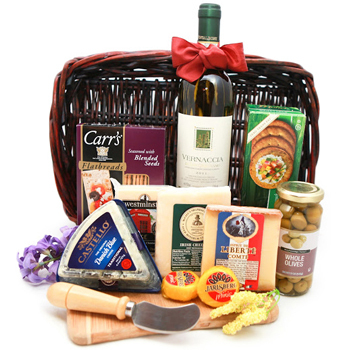 “The gift selection on the website is great, the agents are knowledgeable, helpful and go the extra mile. One agent even stayed in chat for a long time with me answering all my questions. Receiving regular updates about my gifts also made my task so much easier. I will use GiftBasketsOverseas again in the future and recommend to everyone who is looking for international gift delivery service. Great job!